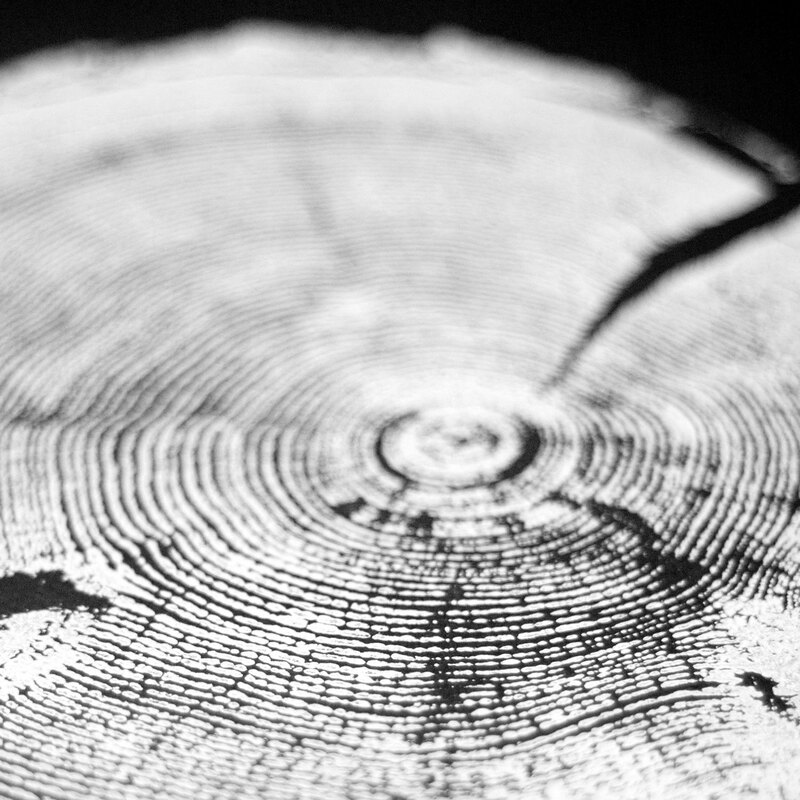 This is a limited edition print of an old growth tree from Little Cottonwood Canyon in Utah. I love these prints because each one tells a story of a place and time. 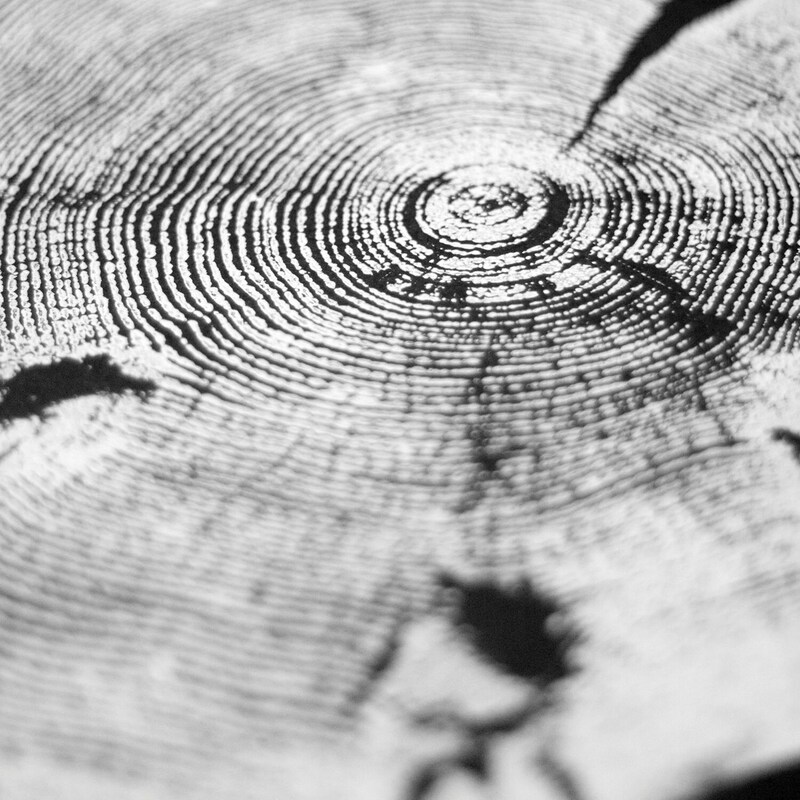 Since each print is made by hand by printing from the actual cut of wood, not two prints are exactly alike. The detail is truly incredible. The prints get more beautiful the more you look at them. 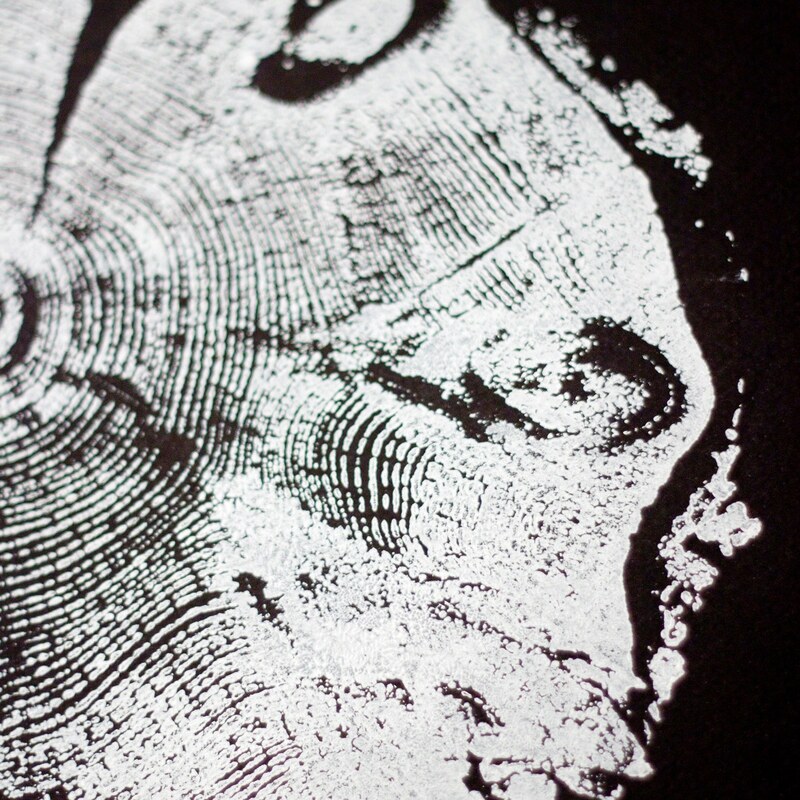 I want each print to be meaningful so each one is made by hand using traditional woodblock methods. So, none of the prints in my shop have been printed by machine. 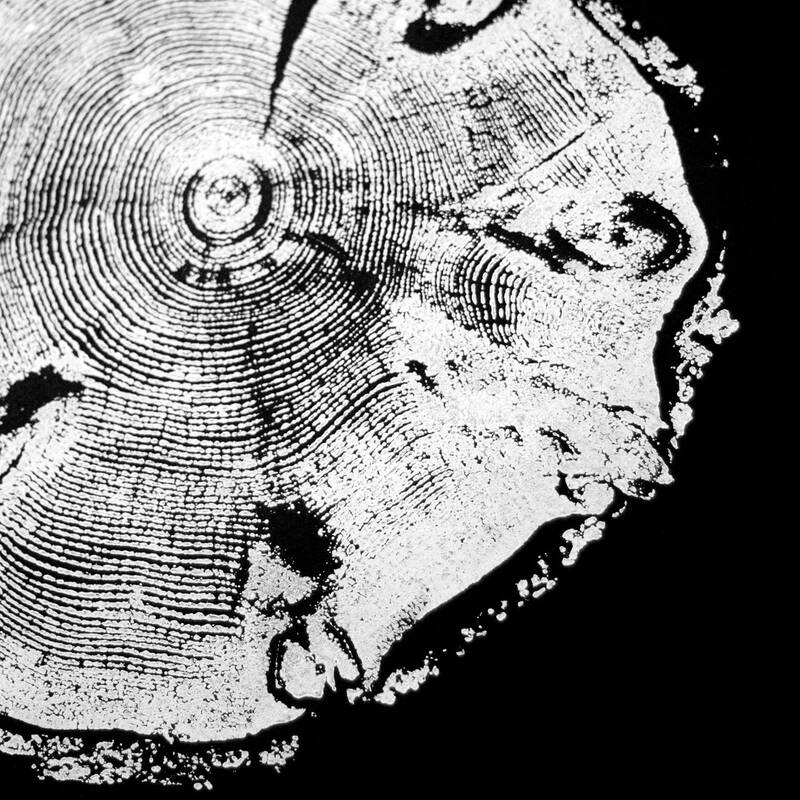 Each one has been carefully pressed directly on the cut of wood to make each print as unique as the tree itself. 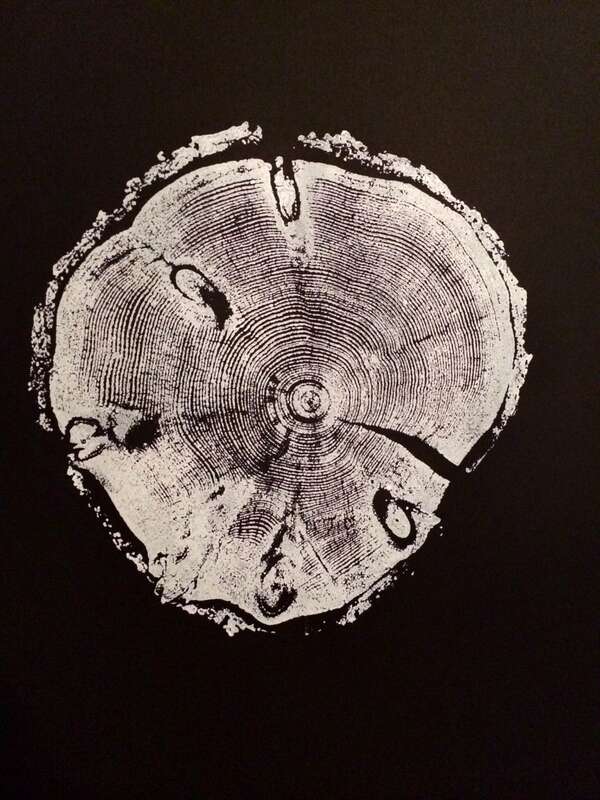 No trees are cut down to make these prints. This is gorgeous in my space. Thanks so much! Lovely White on Black print. Thanks! Such a cool piece, I'm considering getting a black on white one to partner with it. Came quickly and as described.